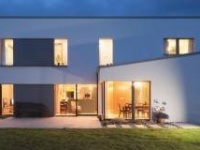 Passive house has long been the preserve of early adopters and motivated self-builders. In the last few years however, we’re seeing increasing numbers of certificates awarded to commercial buildings and public housing projects. Last year, Hastoe Housing Association and Parsons + Whittley Architects won a UK Passivhaus Trust Award for their Wimbish Housing project, a development of fourteen affordable houses in Essex. This year, Hastoe and Parsons + Whittley followed up with another fourteen unit affordable passive house development in Ditchingham, Norfolk. 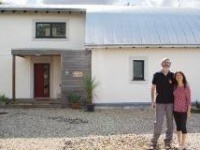 Wimbish was a first-time adventure into passive house for both housing association and architects. Building on the experience gained here, the award-winning team set about shattering many of the preconceptions about passive house. Using traditional building materials and skills, they’ve delivered affordable housing in a conservation area surrounded by listed buildings. As any designer, Parsons included, will tell you, one of the keys to making any passive house project work is to build passive principles into it right from the beginning. Despite this, the Ditchingham development wasn’t actually intended to be passive. Moreover, the fact that it was located in a conservation area, and adjoins listed buildings – a Tayler & Green development from the 1950s – meant that the design team faced a number of tricky obstacles before ever considering the low energy approach. Parsons pitched the idea to Hastoe, and fresh from the success of the Wimbish development, the housing association agreed to the amended plan. In line with his aim of using traditional skills, Parsons chose to build the terrace – which is a naturally thermally efficient building form – using a cavity block wall. The 300mm cavity, used in conjunction with specially made wall ties and cavity closers, allows sufficient volume to take enough insulation to deliver a passive standard U-value. Continuing that traditional theme, airtightness is largely achieved using a standard wet plaster finish. The project itself progressed remarkably smoothly. Service consultant James Tickle of ECS Ltd says that the level of discussion and detail that preceded breaking ground meant that unforeseen issues just didn’t arise. He says: “Detail is taken to such a level that it leaves very little room for the guys onsite to potentially get things wrong, have to cut corners or do something that’s going to have a negative impact.” Both Parsons and Tickle emphasise how important it is to have the services consultant present from the very beginning. “You need to have him sitting next to you when you do the pencil sketch,” says Parsons. In order to make the transition as smooth as possible, Hastoe sought early nominations from the local authority so that the project team could engage with the occupants from a very early stage. Information evenings were held where tenants could come and learn what passive house was and how it worked. 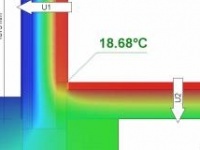 Particular issues did arise in relation to the mechanical heat recovery ventilation (MVHR) system. Some tenants were turning off their fans at night. Others were adjusting the controls more than they really needed to. Parsons accepts that introducing people to the whole concept of airtightness often causes confusion. “We’ve tried to use the term low air leakage,” says Parsons. “It’s less scary.” It’s also worth noting that MVHR maintenance and filter management has been retained by the housing association. At Wimbish, occupants have actually become competitive with each other about how low their energy bills are. Only six months into occupation in the Ditchingham project, it remains to be seen if a similar virtuous cycle will emerge here. Brian Carroll of Hastoe Housing Association says that the central motivation for going passive is the reduction of fuel poverty. With two passive projects finished, four more are in train and another five are expected to be launched later this year. 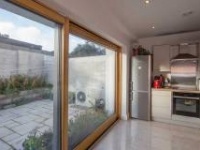 “At the moment, the costs of doing passive house are probably about 12% more than normal build costs.” he says, adding that rolling out further passive developments will depend on reducing that premium. He draws attention to the central dilemma of building passive as a housing association. You pay the premium, but the occupants get the benefits. Acoustic consultants/ tester: Noise.co.uk Ltd.
Ecology Consultancy Ltd./ ECUS Ltd.
Pre-cast products: Milbank/ Supreme Concrete Ltd. Heating & ventilation: Genvex Combi 185 - combined heat recovery, ventilation and domestic hot water unit with certified heat recovery efficiency of 76% with an inline duct heater, plus electric towel radiators in the bathrooms. Three of the dwellings also have 1 sq m Kingspan Marvel 2108 flat plate solar thermal collectors. Green materials: All concrete and aggregate fill from recycled materials, all timber from PEFC certified sources.